In the lead up to the fifth anniversary of the Fukushima nuclear disaster, three former Tokyo Electric Power Company (TEPCO) executives were indicted late last month over their role in the meltdown of three reactors at the Fukushima Daiichi Nuclear Plant. Tsunehisa Katsumata, TEPCO chairman during the accident, and Sakae Muto and Ichiro Takekuro, both former heads of the company’s nuclear division, have all been charged with negligence. It is the first time anyone has been indicted over the nuclear disaster. While the limited charges are largely to deflect continuing public anger, they have been opposed by the government of Prime Minister Shinzo Abe. Three out of six nuclear reactors at the Fukushima Daiichi Nuclear Plant went into meltdown after being hit by a tsunami caused by a magnitude-9 earthquake on March 11, 2011. From the outset there has been a conscious and ongoing effort to cover up the gross negligence of the company and the government. TEPCO only admitted last month that it had known that a meltdown had occurred but waited two months before making the information public. Widespread confusion marked the evacuation process in 2011 and is believed to have caused the deaths of at least 44 people, mostly hospital patients or residents in nursing homes. In 2008, three years before the disaster, an internal TEPCO document predicted that a 15.7-meter high tsunami could potentially strike the Fukushima plant. These warnings were ignored. TEPCO, the fourth largest power company in the world, did nothing to increase the height of its existing 10-meter seawall, which proved completely inadequate when the 14-meter tsunami struck the plant in 2011. The government has consistently attempted to protect TEPCO, which has a long record history of covering up safety incidents. Prosecutors initially declined to bring any charges against TEPCO officials making it likely that the three executives will only receive a slap on the wrist if they are found guilty at all. The three face up to five years’ jail or can pay a paltry fine of one million yen ($8,800). The trial is not likely to start for at least six months. Muto’s citizen group was formed to review the prosecutors’ decision after they initially refused to press charges against the TEPCO officials. Under Japanese law, citizen groups can demand such a review. After the first group’s demand for charges against TEPCO officials was rejected, a second body, known as a Committee of Inquest for Prosecution, was formed. It reached similar conclusions but once again no charges were filed. Another committee was established to demand indictments and while rare, its decision is binding on prosecutors. Over 15,000 people were killed in the earthquake and tsunami in northern Japan. While no deaths have been directly linked to the release of radiation from the reactors, there are widespread concerns that health problems may emerge in the future. It is also unclear what impact the disaster will have on the environment. Greenpeace Japan has stated in a recent report that it had found high concentrations of radiation in new leaves and mutations in fir trees and butterflies. Five years since the disaster, water continues to flow into the stricken TEPCO plant where it becomes contaminated with radioactivity. The radioactive water is being pumped into tanks with more than 1,000 tanks now full and the number growing. TEPCO has stated that it may take 40 years to complete the complex decommissioning of the reactors and clean-up. More than 160,000 people were forced to evacuate the area following the Fukushima meltdown and about 59,000 people continue to live in barrack-style temporary homes. While the government has built some public housing, 7 percent of the homes built in the three prefectures of Fukushima, Iwate and Miyagi remain empty, highlighting the refusal of the government to adequately meet the needs of the victims. High rents have prevented some of those in temporary housing from moving. Nuclear plants in Japan are being brought back online in defiance of public opinion polls which regularly indicate that a majority of those surveyed oppose the use of nuclear power. Two reactors were restarted last August and October respectively at the Sendai nuclear plant in Kagoshima Prefecture by the Kyushu Electric Power Company. The Sendai plant is just 50 kilometres from the Mount Sakurajima volcano, which erupted on February 5. Kyushu Electric Power management said there was no impact from the eruption and the company would not be taking any special precautions. In January, Kansai Electric Power Company activated its No. 3 reactor, followed by its No. 4 reactor in late February, at the Takahama plant in Fukui Prefecture. The No. 4 reactor, however, has experienced operating problems on two occasions and has been shut down. Contaminated water was found leaking during tests on February 20. It was reactivated on February 26 but shut down suddenly three days later. The exact cause is still not known. 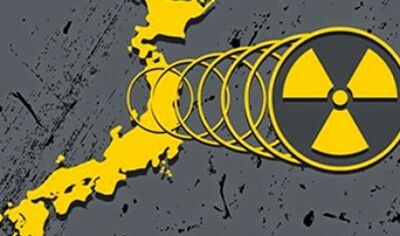 While these issues continue to fuel popular hostility to nuclear power, the opposition Democratic Party of Japan (DPJ) is attempting to capitalise on this by placing the blame solely on Prime Minister Shinzo Abe. The ongoing attempts of Japanese governments to protect TEPCO over the Fukushima disaster are another demonstration that the drive for profits takes precedence over the health and safety of millions of ordinary people. As the World Socialist Web Site explained in “Nuclear power, private ownership and the profit system” published on March 24 2011, “The problem is not nuclear power per se, but the social and economic order under which it is developed.